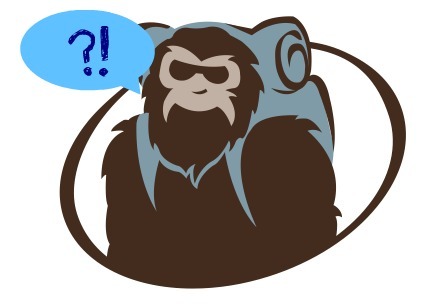 The Sasquatch wants to know what you think about hiking poles! Are they essential to the hike or just unnecessarily fancy-pants walking sticks? Let us know. The Sasquatch is listening! Greeting to all. my trail name is **MEDICAL MIKE** iam geeting ready to do a big section hike on the AT starting from Boiling springs,PA to Warwick ,NY going on with **hardcharger, and Johnny B i have been into backpacking since 2007 after my gastric bypass . I have done several trailsin Ohio ,PA, WV and the At from thornton gap to harpers ferry ,WV so i will post the pics. need the poles the down hills kill my knees. I won’t hike with out them. Going downhill they are an absolute necessity with my bad knees. I didn’t think they helped that much until about three years ago I tried a pair from a friend. Since then I have not left home with out them. Most of my hiking is done in Texas with very little elevation so I just carry a finished pretty stick. That said, in preparing to through hike the AT (starting the day after I am retired), I plan to double high-tech stick it. My thoughts are that I may not need them and can pack them (one or both)… but… if and when I do need them, I want to have them. Molly is the trail name given me when I mistakenly added Molly McButter to my one and only cup of coffee for the day instead of Cremora. Yukk! I have a bum ankle and hike a little off kilter. One large walking stick suits me better than poles. I wouldn’t say they’re either a necessity or a complete waste. They are often useful, though, and for a lot of people they can make a hike more enjoyable. A walking stick is a pretty primitive “accessory,” so I can imagine that humans have been using them for thousands of years, and I see metal poles as technological upgrades of those. I certainly was glad to have one of my walking poles while hiking last week in western NC; it helped me avoid a couple of huge puddles. But to say that a pole (or a pair) is a requirement for hiking is obviously overstating things.